Looking back at Estonia’s last quarter of a century, Toomas Hendrik Ilves, the fourth President of Estonia, who will hand over the presidency to his, as of yet unknown, successor in the autumn, notes that the country has primarily achieved success when it has dared to do something in a new or different way. This interview was first published in print magazine Life in Estonia. In 1967, when the 13-year-old Toomas Hendrik Ilves was learning programming as part of an experimental math class in New Jersey, the United States, Estonia was firmly behind the Iron Curtain. The majority of people could only dream of travelling abroad at that time, let alone learn programming. Back in the free world, however, 100,000 people converged in the Haight-Ashbury neighbourhood of San Francisco to question everything and anything about them and their environment – a social phenomenon that became to be known as the “Summer of Love”, a hippie counter-culture that was eager to integrate new ideas and insights into daily life, both public and private. Young Ilves would listen to the “Tales of Brave Ulysses”, by the British rock super group Cream, on his parents’ record player that same summer. Ilves’s parents were Estonian refugees who had fled the Soviet occupation of their beloved homeland over thirty years earlier, in 1944, and he was actually born in Stockholm, Sweden. When he was three, his family moved to the States, to Leonia, New Jersey, a small borough by the Hudson River. It was at the local high school where he first got exposure to the computer programming which would later shape his views on how best to inspire schoolkids in Estonia. 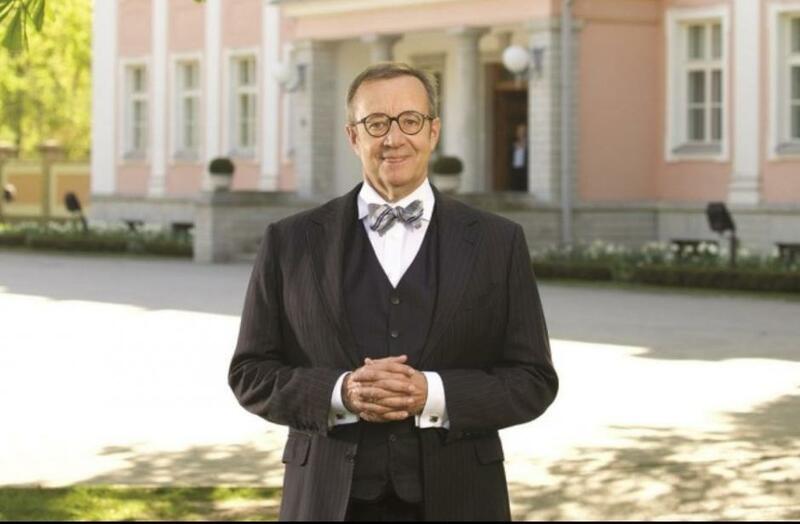 Ilves graduated as valedictorian (the student who delivers the valedictory speech at the graduation ceremony – ed.) in 1972 and went on to receive a bachelor’s degree in psychology from Columbia University as well as a master’s degree in the same subject from the University of Pennsylvania. His subsequent career saw him first holding various diverse posts – as a research assistant, an English teacher and even leading the arts centre in Vancouver, Canada – until a job with a leaning towards politics came along. The Cold War was still at its height and Ilves became an analyst at Radio Free Europe – a Munich-based, anti-communist news source. Funded by the US government, its broadcasts were tailored specifically for the Soviet Union and its satellite countries. As such, its radio signal, albeit pretty weak, was also picked up in occupied Estonia, where the older generation in particular, with their memories of an independent country, secretly and illegally listened-in. 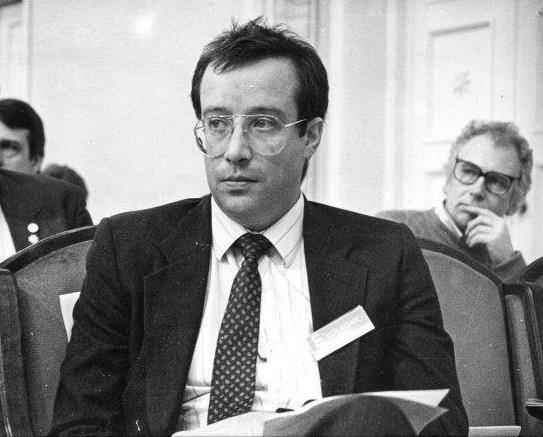 But times change; Ilves became the head of the station’s Estonian desk in 1988 – the year of the Singing Revolution in Estonia – and during the ensuing turbulent period, which culminated with the collapse of the Soviet Union and Estonia regaining its independence in 1991, he started to participate in the new democratic movements of the country of his forbears. “We thought the Soviet Union and a divided Europe were to last forever. Yet in a span of two years the edifice collapsed, the glacier melted. Anything was possible,” he says of the period. So when Lennart Meri, the first freely-elected president since regaining independence, called Ilves in 1993 and asked him to become Estonia’s ambassador to Washington, he accepted it in a heartbeat, despite having to relinquish his American citizenship in the process. To the younger generation, accustomed to the comfort and capabilities of a modern member state of the European Union, Estonia’s diplomatic service of the 1990s sounds poles apart. “Today, the early days of independence seem somewhat unreal. Sometimes we didn’t even get paid, and lived off our credit cards. Our bank was kind enough to patiently await delayed transfers needed to cover the embassy building’s rent. To make space for additional diplomatic staff, I forfeited my driver and drove myself around,” Ilves recalls. But it was also during this uncertain time when the new, forward-looking mindset, was implemented. While the Mart Laar-led government introduced sweeping free-market economic reforms at home – a flat income tax rate, privatisation, abolition of tariffs and subsidies, balanced budget – Ilves played a major part in Washington in reorienting Estonia decisively towards the West, rather than its former imperial oppressor, Russia. “We had to do whatever possible to join the European Union and, hopefully, NATO,” he recollects about the time when very few dared to believe that Estonia could one day be a part of either. Foreign policy aside, it was another field that would, 20 years later, define his presidency: digitalisation. 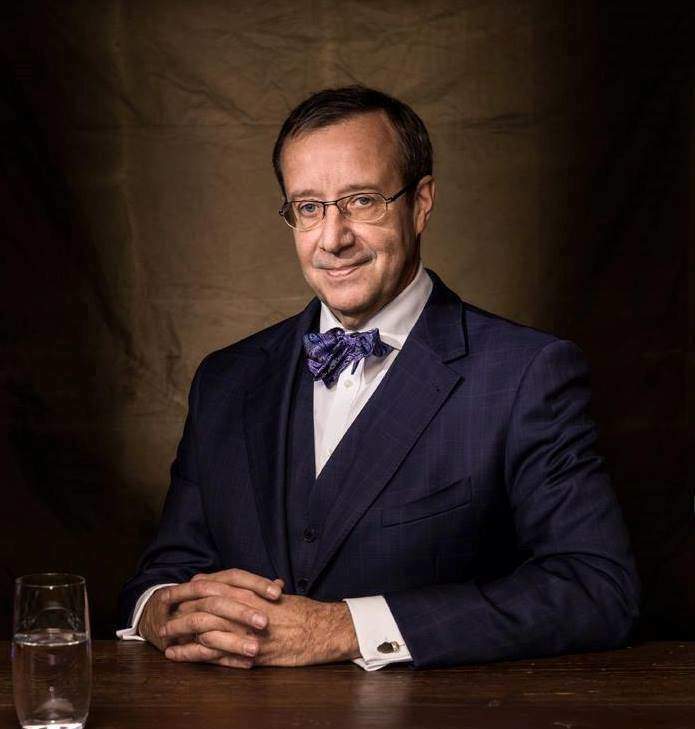 During those busy days as an ambassador, Ilves contemplated ideas on how to get his country back on its feet again: “If you look at the GDP of Estonia in 1991, it stood at either US$900 or US$1,300 per capita, depending on whether you look at purchasing power parity or nominal value. In other words, it was very low; the country had a terrible infrastructure. So we had to ask ourselves: how do we get out of this mess? We don’t have resources, we don’t have infrastructure,” he recalls. Inspired by his own experience as a young programmer, Ilves proposed the Tiger Leap project – which involved investing in the development and expansion of computer and network infrastructure in Estonia, with a particular emphasis on education. “Because I learned to program at the age of 13, I knew that if you started early, you’d have an advantage. That is why I proposed this idea to first computerise the schools. But I knew very well that most schools weren’t likely to have people who could teach programming. However, I knew from my own experience that you can learn by yourself; there are always kids who would look how to take things apart, find out how things work, etc, and this will inspire them learn how to program just as much as any classroom,” he says. The importance of political support in providing the legal structure for new digital solutions has continuously been underlined by the president. Estonia has been lucky to have a general consensus when it comes to digital innovation – something Ilves experienced first-hand when he relocated to the country in 1996 and served as foreign minister there until 2002. “There was a willingness to risk 15 years ago: ‘let’s do the digital signature thing’, ‘let’s have a secure ID for everyone’, ‘let’s see how it goes’. This was a time when people with seemingly-crazy ideas were nonetheless listened to – it was a unique combination of political will and leadership. People were willing to take risks and see if things worked. But the key to doing things successfully digitally is that you need a legal framework that allows you to do it in the first place,” Ilves emphasises, alluding to his time in the government when the digital signature law was passed, giving it the same legal basis in Estonia as a physical signature. One of Ilves’s long-term goals was achieved when Estonia joined the EU in 2004 – as foreign minister, he had succeeded in starting the negotiations with the EU – and he was among the first Estonian MEPs. Whereas before, and even for a few years after, the 2004 accession, Estonia, together with the other new members of the EU, was still looked at a bit like an inexperienced young recruit in an old boys’ club, things gradually started to change. The digital society took off: the founding of Skype in Tallinn kick-started a startup ecosystem. Following the global financial crisis in 2008, as Europe plunged into trouble, Estonia managed to lift itself out of the mire by exercising remarkable budget discipline and, as a result, qualifying for and joining the eurozone in 2011. Still a relatively new member state, Estonia became part of the eurozone “core” and was cited as a model example of how fiscal credibility can facilitate higher growth and rising employment. When the NATO Cyber Defence Centre was established in Tallinn, delegations from various European countries and media outlets started to flock to Estonia, to inspect its e-government and digital solutions. Mistaken were those who had claimed that the country’s word would count for nothing in the EU. 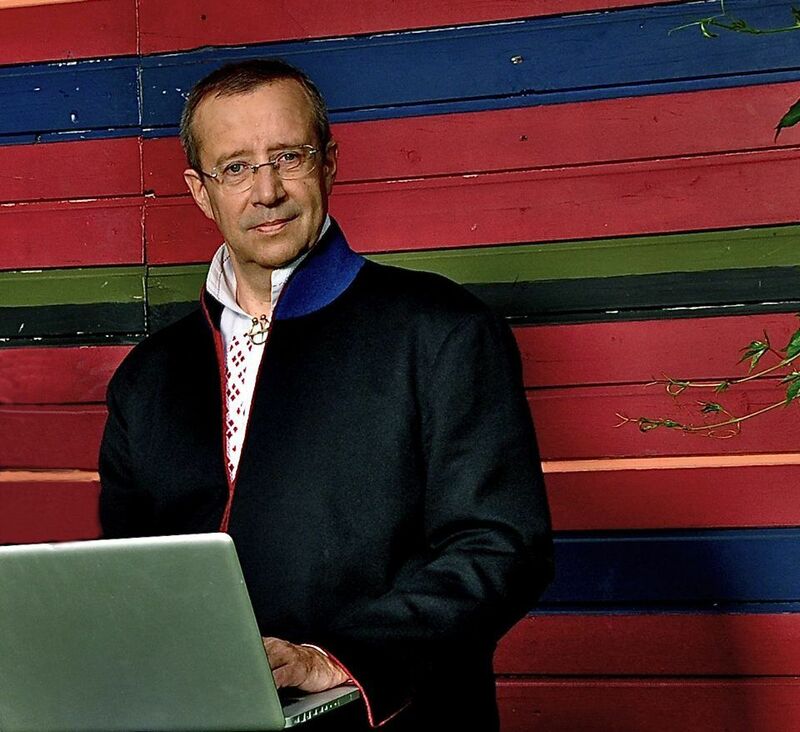 Ilves, who had been elected president in 2006, became one of the principal global spokespersons for this newly-confident, digital Estonia which also became a hotbed for startups, treating the entire world as their market from day one. Always eager to embrace new technology, he also became known as the “Twitter president”, due to his prolific use of the online social networking service, personally tweeting on topics ranging from international politics to cyber security to startups and more. Ilves, who had been elected president in 2006, became one of the principal global spokespersons for this newly-confident, digital Estonia which also became a hotbed for startups, treating the entire world as their market from day one. “I like this sort of creative and youthful thinking found in startups. Besides, startups need international recognition, so I’m perfectly happy to promote them. There are, of course, established industries in this country, but many are regional,” the president continues, on his special focus. He rejects the implication that Estonians have become almost “too good” at creating a hype over their digital society and startup culture. “For any country with our climate and our lengthy periods of darkness in winter, we all need our myths. I’m not so worried about that. Every culture has its myths and legends and this is a fairly benign ‘myth’. If it encourages people, if it gets young people to try something new, I’m not worried,” he explains. 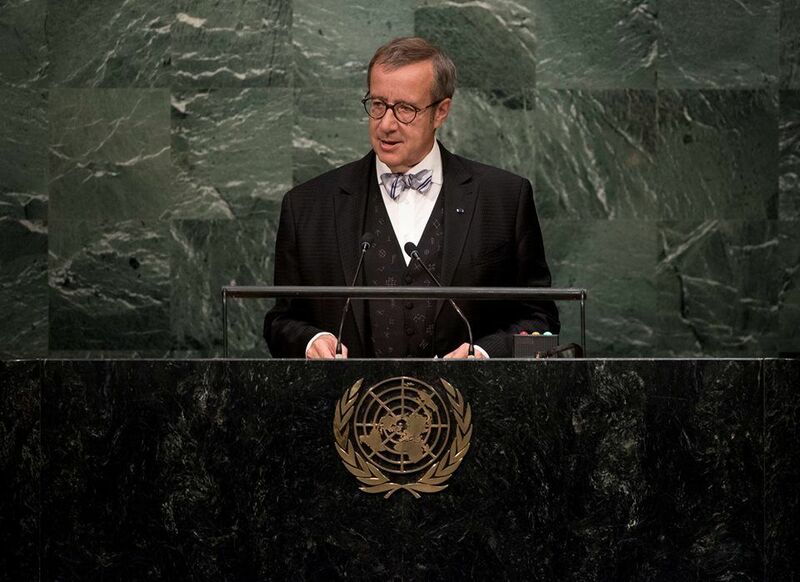 Due to his championing of the digital society, Ilves has, in recent years, taken on many international advisory roles. Together with Kaushik Basu, the chief economist of the World Bank, he was responsible for preparing the World Development Report, entitled “Internet for Development”. The report, which is the World Bank’s most influential policy paper gives examples from different countries, including e-services available in Estonia – and according to the president, despite weighing-in at over 300 pages, has become by far the most downloaded in the entire history of these reports: “Estonia figures a lot in it; it is often brought up as an example of what has been done successfully. It clearly talks about what the better technical solutions are, but I try to emphasise what makes it universal, and applicable to Europe as well. It’s not just about developing the technology, but encouraging competition and providing the legal framework that you can do things with, just like Estonia did,” Ilves emphasises. Yet, the president admits that Estonia’s digital reputation has started to precede the country around the world, including in Africa and the Middle East. “There was a woman in Twitter, with a Chinese name, who said: ‘I’m in Dubai, I need a card reader – are there any Estonians in Dubai?’ It turned out she had worked for an Estonian startup before. This is a Chinese-Canadian in Dubai and asking, are there any Estonians around?! This kind of image has thus been created and it is, indeed, bigger than the country itself. People assume that if you’re an Estonian, you can fix anything computer-related,” Ilves says, amusingly, before adding that he did retweet the woman’s request to his Twitter followers, currently numbering around 70,000, too. Coming back to limitations, one of his most resonant subjects recently has been the European digital single market – or rather, the lack of it. One of Ilves’s favourite stories is how it’s easier to order a bottle of olive oil from Sicily to be delivered to the north of the Arctic Circle, than to send a song from iTunes across the border to Latvia, where his wife, Ieva, works. Therefore, he has proposed a fifth freedom in the EU – the free movement of data. “I think the European Commission is pretty good, but it’s rather the case that the individual member states have very different attitudes and some have very strong protectionist tendencies. There are some countries that are pressing criminal charges on Uber drivers, for example. And that is what I’m trying to say in Europe: if you become protectionist, you will ultimately lose. We can be very advanced right now, but it could be that in five years, when other countries such as India are very bold, things can change – it’s not a static situation,” he asserts. “If we don’t have free movement of data across borders, our economy will slow down. You can have a car running on computers – not even a self-driving car, but computerised – and then you can get all the way to the German-French border, but if there is no data transfer, your car stops right there. That is not a reality, but a metaphor, but unless we resolve what I call the fifth freedom of the EU, which doesn’t exist yet, we will run into trouble,” Ilves predicts. He argues that in this sense, Estonia is far ahead of other countries, but its companies and startups stand to lose a lot if the cross-border data transfer doesn’t become a reality across the EU. Ilves cites the upcoming bilateral cross-border data exchange between Estonia and Finland as a positive example: “If you are a Finn, having a good time in Estonia and happen to lose your medicine, you just go to an Estonian pharmacy and if the data has been exchanged, you’ll get your medicine in Estonia. Ideally, this kind of system should be pan-European – that’s what I’m arguing for. But right now, many countries don’t even have electronic records,” he remarks. He acknowledges that innovative solutions can sometimes take some time to properly implement, but based on Estonia’s experience, it’s well worth it. “When we instituted digital prescriptions, for the first two months there were software bugs and other issues, creating a huge uproar first. And then within two months, it was all resolved and now everyone in Estonia uses digital prescription happily,” Ilves notes. 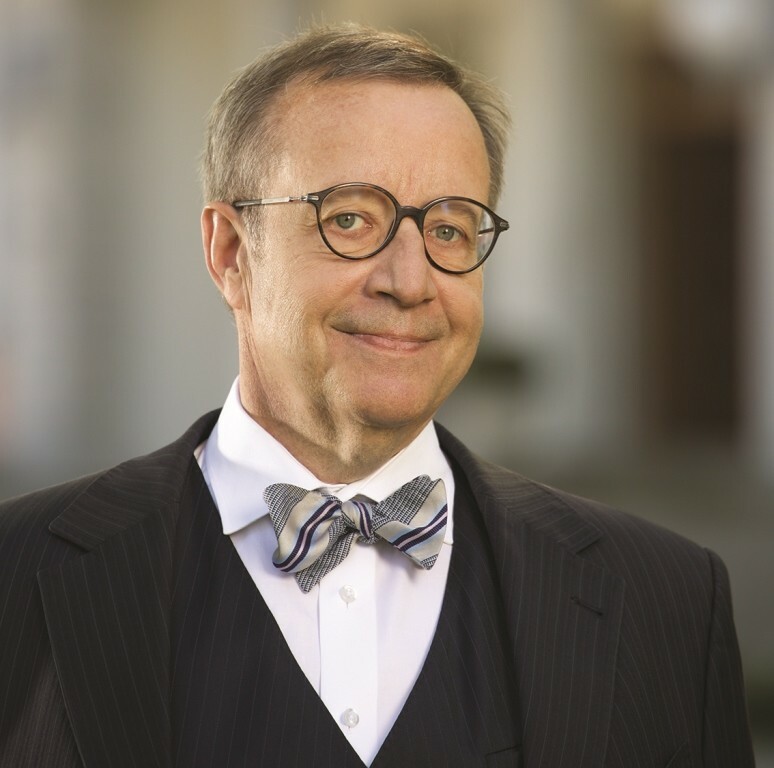 Ilves has also become a well-respected global speaker on cyber issues. He says that the biggest issue in cyber security is not privacy – although it is a concern – the biggest issue is the data integrity. “I may not like it much if someone learns what my blood type is – but what I really dislike is if someone changes what my blood type is registered as in the system. Data integrity will become a more serious issue – we really don’t want the data to change. This also applies to relatively simple things, like the IoT (the internet of things),” he explains. Looking back at Estonia’s last quarter of a century, Ilves, who will hand over the presidency to his, as of yet unknown, successor in the autumn, notes that the country has primarily achieved success when it has dared to do something in a new or different way: “Rapid and decisive reforms, implementation of modern technology, and, during the last decade, the powerful rise of a civil society that is impacting social development”. There are new developments to look forward to. One of these is the much-vaunted e-residency project – a state-issued, secure digital identity for non-residents which allows digital authentication and the digital signing of documents. “I like e-residency, the idea of a borderless world,” Ilves remarks. 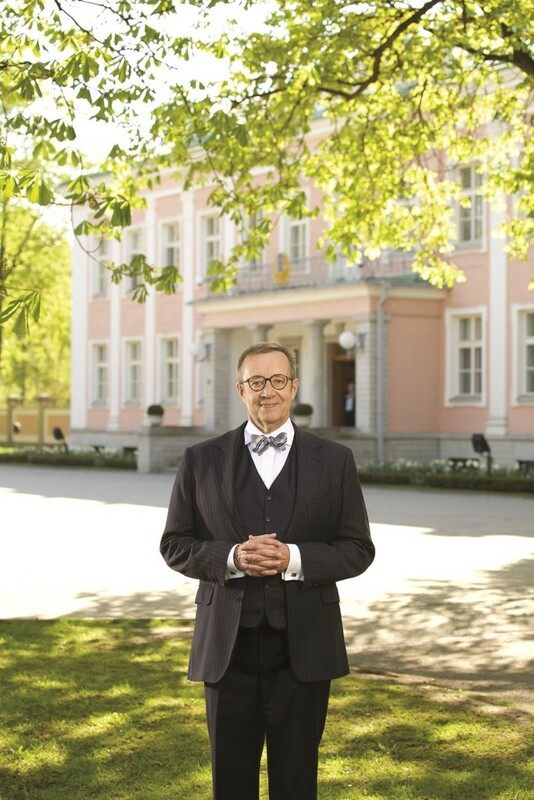 Cover image: Toomas Hendrik Ilves in front of Kadriorg Palace in summer 2016. Photo by Atko Januson.